(Eagle News)—Light rains will prevail in some parts of the country as the northeast monsoon continues to affect Luzon. 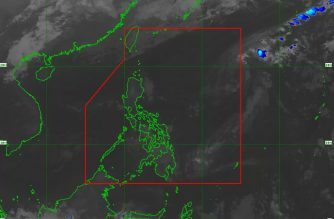 The Philippine Atmospheric Geophysical and Astronomical Services Administration said cloudy skies with light rains will be experienced in Batanes, Cagayan, Isabela, Nueva Vizcaya and Quirino, while partly cloudy to cloudy skies with isolated light rains are expected over Aurora, Abra, Benguet, Ifugao, Mt. Province, Kalinga, Apayao, Ilocos Norte, Ilocos Sur, La Union and Pangasinan due to the northeast monsoon. PAGASA said the same weather forecast was in place over Bicol Region, Oriental Mindoro, Romblon and Marinduque. Partly cloudy to cloudy skies with isolated rainshowers are meanwhile expected over Northern Samar. 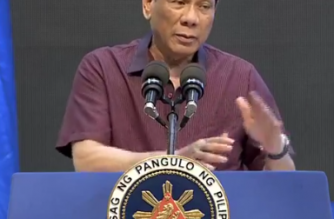 Light to strong winds coming from the northeast will prevail over northern Luzon and Aurora province, while light to moderate ones are expected over Oriental Mindoro, Romblon and Marinduque, PAGASA said.